The Human Freedom Index (HFI) is the most comprehensive freedom index so far created for a globally meaningful set of countries. The HFI covers 152 countries for 2012, the most recent year for which sufficient data is available. The index ranks countries beginning in 2008, the earliest year for which a robust enough index could be produced. This preliminary report was updated (using data for 2013) and will be subsequently presented and updated on a yearly basis. 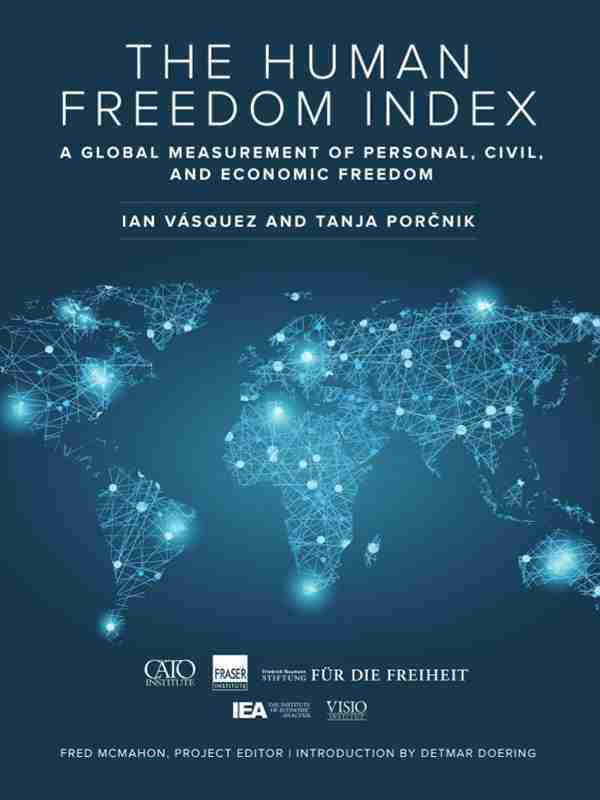 On a scale of 0 to 10, where 10 represents more freedom, the nonweighted average rating for 152 countries in 2012 was 6.96. The level of global freedom stayed about the same compared to 2008, but almost all countries experienced changes in their ratings, with about half of those increasing their ratings and half decreasing.